Serenely situated on the scenic Hans Merensky Dam, Tzaneen Country Club is an undiscovered challenge for the serious golfer. The course is alleged to be one of the fairest tests of golf around and should have the high and low handicapper alike urging to book the next round. Rolling fairways and punishing but fair roughs merge to present a ‘shot makers’ ideal challenge. A well stocked bar with a cosy fireplace creates a friendly setting for socialising after many rounds. 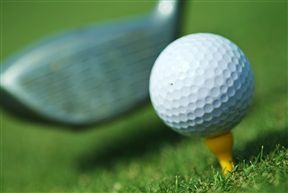 Tzaneen Country Club hosts some of the major tournaments on the PGA Winter Tour. Local and visiting golfers gather here every May for a weekend of golfing and good times at the annual Koraalboom Tournament. Tzaneen Country Club is 10.5km from the centre of Tzaneen , the nearest airport 73.5km (Polokwane Airport).